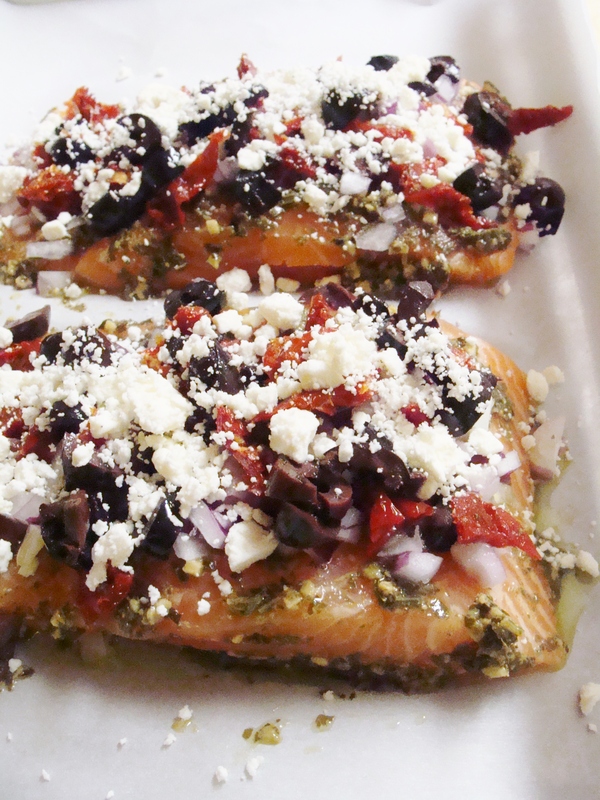 Last week, one of my longtime favorite food bloggers, Jenna of Eat, Live, Run, posted a recipe for Mediterranean Baked Salmon. I don’t really care for salmon, but my boyfriend is a big fan. This recipe looked too tasty not to try. So I did! piping hot, fresh from the oven. Prep your other ingredients, if you haven’t done so already: chop your olives, red onion, and sun dried tomatoes. Layer on your toppings! You can really use as much or as little of each topping as you’d like. I really liked the flavor that the feta cheese added to the dish. 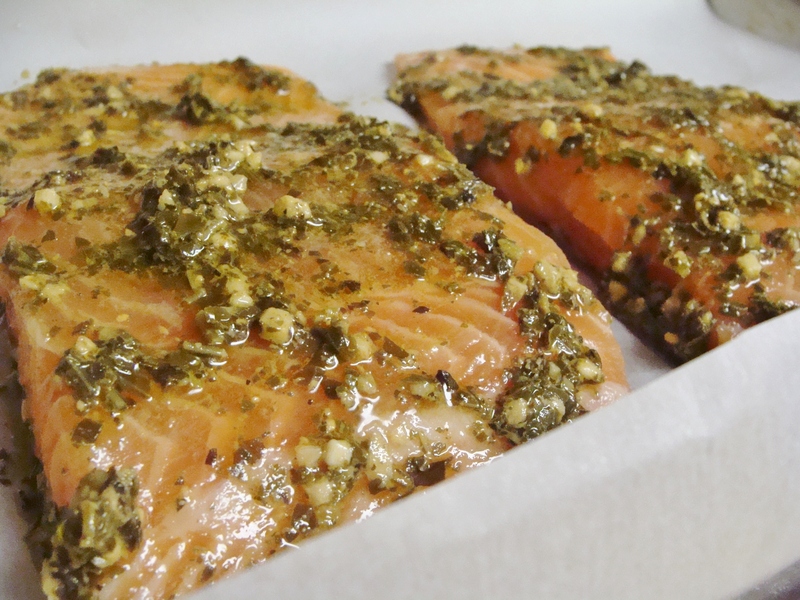 Bake the salmon, uncovered, in the oven at 375 for 30 minutes, until fully cooked. This is a totally simple meal! And pretty easy to put together. I served this over a bed of sautéed spinach, with some brown rice on the side. Uh, yummy sounding! 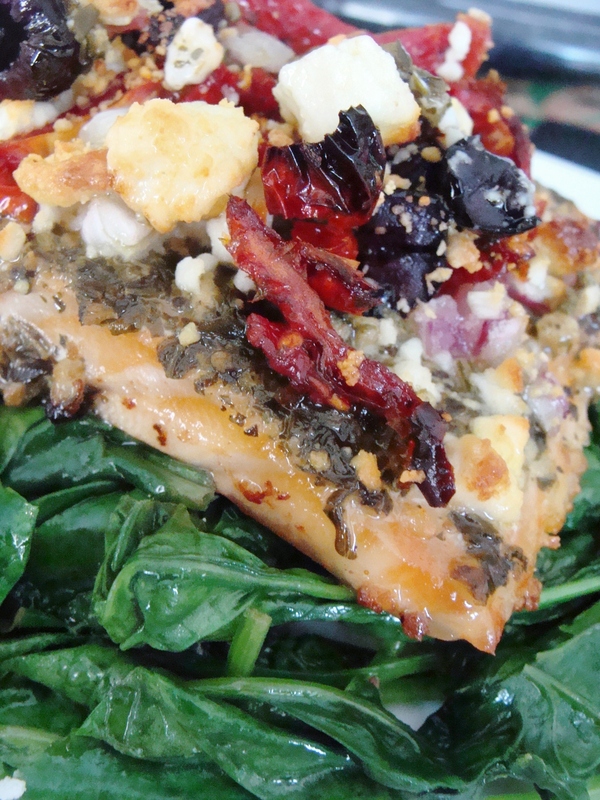 I love salmon & am ready to give ths a try! 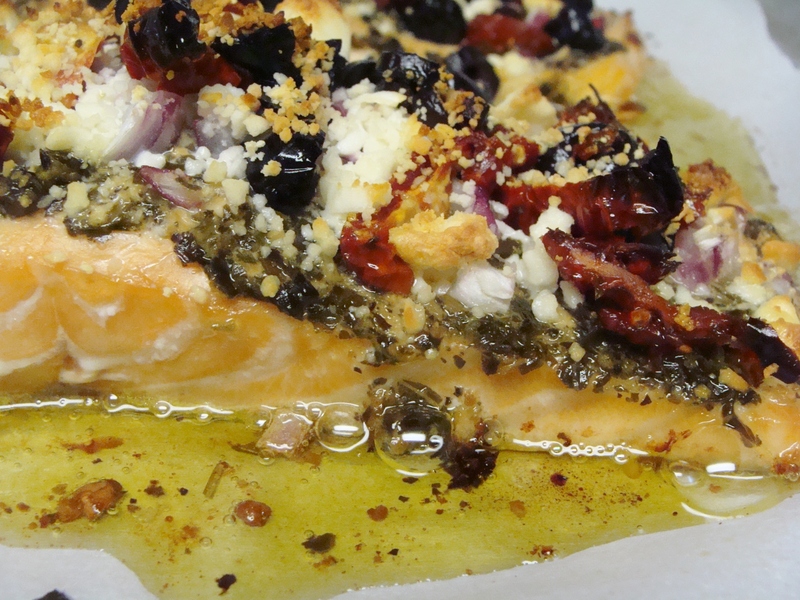 You are currently reading Mediterranean Baked Salmon at The Cheesy Kitchen.